… and what the heck is a power retail special use district anyway? Update: the Planning Commission chose not to support this legislation, voting it down 4-2, with only Commissioners Antonini and Wu in favor. 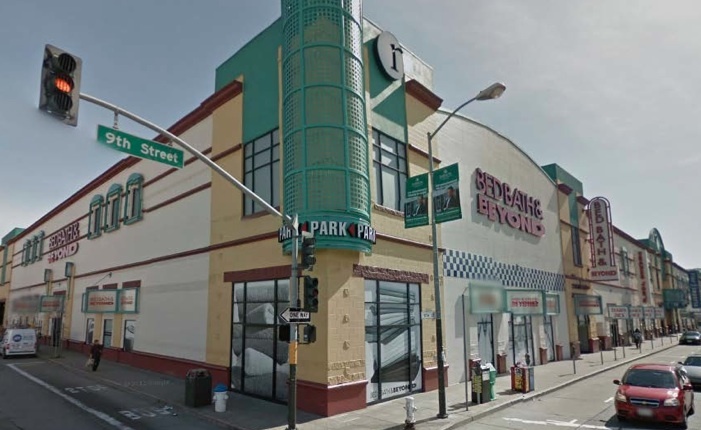 Supervisor Jane Kim has introduced legislation that would exempt 555 Ninth Street, that hulking complex at the corner of 9th and Bryant Street, from current zoning controls on formula retail uses (chain stores). The legislation will be reviewed by the Planning Commission on Thursday. When the Eastern Neighborhoods Plan was adopted in 2009, the area was rezoned as an Urban Mixed Use (UMU) district, which requires Conditional Use (CU) authorization for formula retail establishments. UMU also requires that retail uses be limited to a maximum floor area of 25,000 gross square feet. That same standard is included in the proposed Service, Arts and Light Industrial (SALI) district to the north of the property. Above 25,000 gross square feet, three gross square feet of other permitted uses are required for every one gross square foot of retail space, a provision intended to protect the service and light industrial nature of the area. Section 121.6 of the Planning Code also requires a CU for anything over 50,000 sq. ft, and prohibits any single use larger than 120,000 sq. ft.
exempt the SUD from the use size limits that apply elsewhere in UMU. While the Planning Department is favorably disposed to recommend passage of the legislation, they would like to remove the exemption for sign controls, retain the maximum parking controls and most importantly require a CU for any single use that is above 90,000 sq. ft. Bed Bath and Beyond, currently the largest tenant in the complex, comes in at just under 75,000 sq. ft.
Jane Kim’s office argues that the Ninth Street Power Retail Special Use District would allow the continued use and operation of the 555 Ninth Street retail center for large formula retail tenants. “They’re already there. We don’t see why new tenants should have to go through the CU process,” April Veneracion noted. The Planning Department adds that the SUD will help attract new businesses to vacant retail space by reducing process and startup costs, as well as allow existing businesses to expand in the proposed SUD with less process and cost. Furthermore, they argue, these businesses tend to provide jobs for semi-skilled workers.